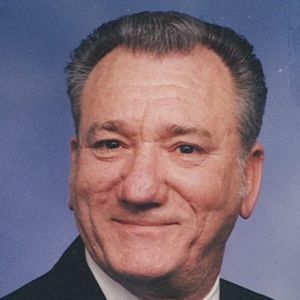 Joseph "Andrew" Hoskinson, Sr., age 79, of Elyria, passed away peacefully on Friday, March 15, 2019 surrounded by his loving family. Andrew was born to parents Perry and Mae Hoskinson on June 20, 1939 in Logan, West Virginia. He retired from Ford where he worked as an assembly worker for over thirty years; and he and his son, Andy, were co-owners of A&A Auto Works. Andrew had a passion for cars, especially race cars and he could be found at the Lorain County Speedway almost every Saturday night. He was also very active in the Elyria Baptist Church where he was an ordained deacon and a member of bible study, and attended prayer meetings on Wednesdays. He adored his family and will be greatly missed by all that knew him. Andrew is survived by his loving wife Irene of 61 years, daughters Andrea Hoskinson and Joan Barnett (Joseph); son Andy (Tammy); grandchildren Shawn (Sarah), Cara (Rob), Nate (Sarah), Desiree, Jonathan (Katie), Kerstyne (Jon), and Khrystena (Jonathan); and great-grandchildren Raven, Mackenzie, Sarena, Logan Andrew, Seth, Aubri, Blake Andrew, Jonathan Jr., Reece and Mateo; and 4 of his brothers. He is preceded in death by his parents, 3 sisters and 1 brother.